Outdoor furniture fans, rejoice! 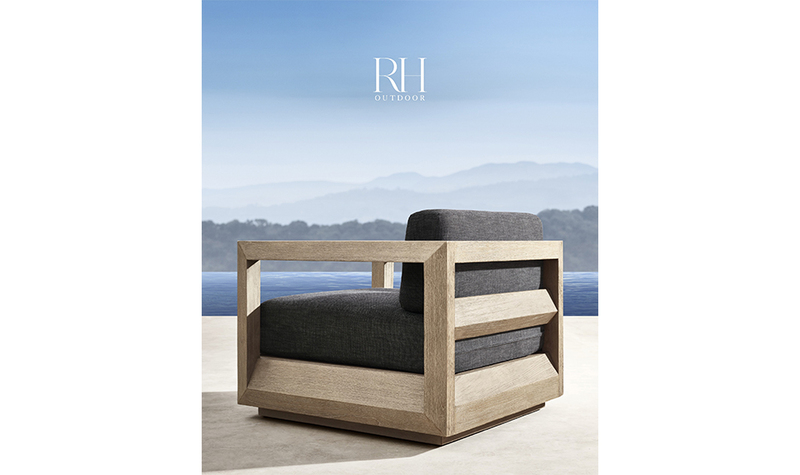 Restoration Hardware is releasing its 2018 RH Outdoor Source Book chuck full of its signature pieces throughout 380 pages of its beloved guide. 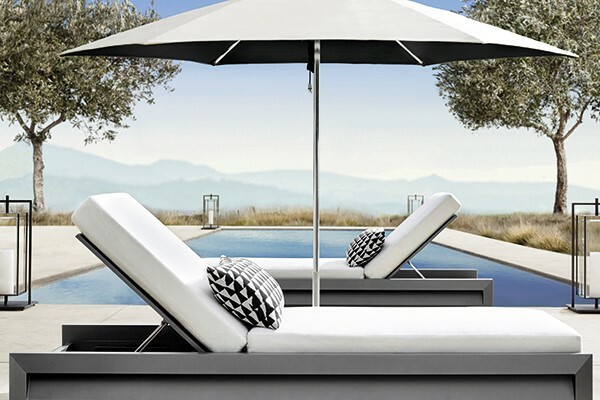 This inspirational design resource presents one of the most expansive and fully integrated assortments of quality outdoor furniture, high-performance textiles and distinctive accent pieces. As it’s come to be customary the brand has assembled some of the industry’s most respected designers, artisans and manufacturers. Appearing on the cover of the new Source Book is the Paloma Collection by Mario Ruiz. 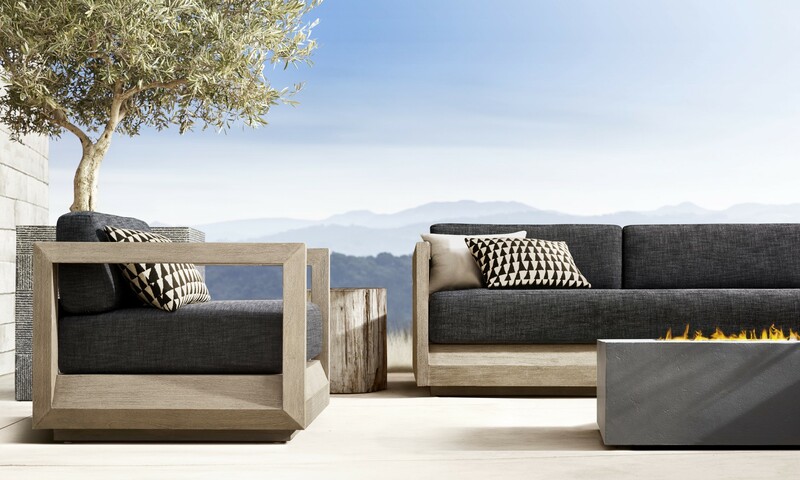 An ode to restrained classicism, its distinct architectural sensibility is defined by clean lines and broad beveled planes that create a pure, geometric composition rendered in sustainable, premium solid teak or handcrafted aluminum. Engineered with the finest marine-grade materials, Miami’s Dougan Clarke’s Tuuci® Eclipse Cabana, a stunning open-air pavilion with retractable shade canopy; Ocean Master Max Luna LED Cantilever Umbrella, with integrated, touch-sensitive dimmable LED lighting; and Ocean Master Max Tilting Cantilever Umbrella, featuring a state-of-the-art mechanism to provide coverage at every position of the sun’s arc, are all made in the USA. Finally, Rug designer Ben Soleimani’s (Los Angeles and London) High-Performance Outdoor Collection incorporates the same artistry and exceptional craftsmanship he brings to his signature indoor line. Meticulously woven from the finest handspun, all-weather fibers to achieve the rich texture and natural feel of wool, these one-of-a-kind carpets resist stains, spills and moisture.